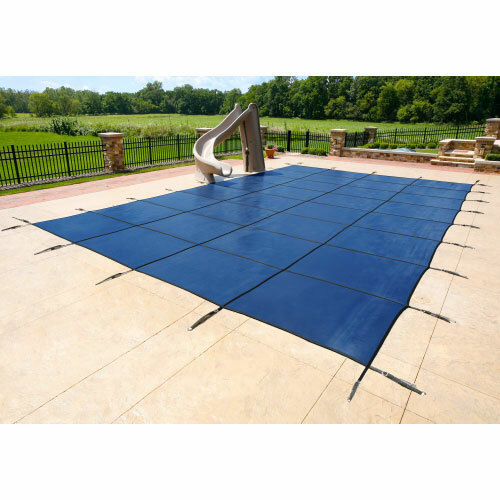 We carry 5 different mesh and solid safety pool covers, all of which will keep children, pets, leaves and debris out of your swimming pool. Safety covers are held in place with brass anchors that are installed into your concrete deck. Never deal with insightly water bags and winter covers, that need to be replaced season after season, again. Not sure which cover is best for you? Have questions on how to measure your pool for a safety cover? Give us a call at 1-800-464-9898 and one of our safety cover experts will be happy to help you! 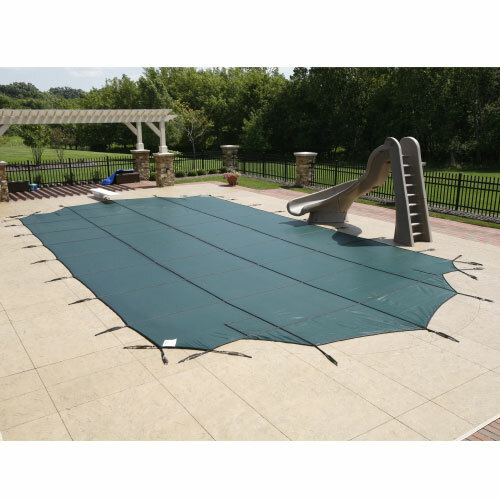 A great entry level safety cover that will protect your children, pets, leaves and other debris from entering into the inground pool. This cover has burst strength of over 4,000 pounds and allows water to drain into the pool. The Super Mesh safety cover has all the great features of the 12 year cover and more. 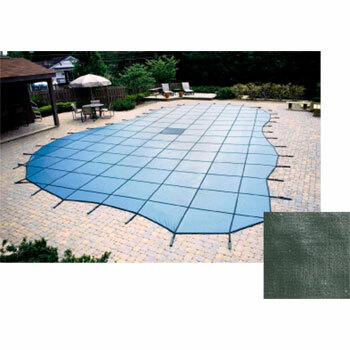 It has a tighter mesh that provides almost total shade thus limiting algae growth. The 15 Year Ultra Light® Solid is 35% lighter than other solid safety covers and also prevents algae growth. The patented center drain catches the finest dirt and debris, but still allows the cover to drain thus eliminating the need for a pump. 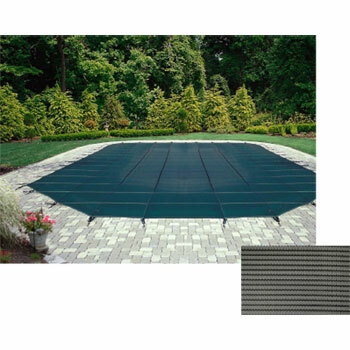 The 15 Year Ultra Light® Solid with a cover pump elimates the drain panel thus keeping excess water out of your pool. The automatic cover pump keeps water from pooling on the top. The Commercial Mesh cover is 50% stronger than traditional mesh safety covers with a break strength of over 5200 lbs and will outlast all other covers. This cover also has the same light blocking properties as our Super Mesh.